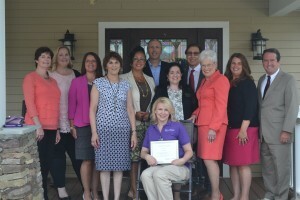 “NCAL Names 2017 Top Assisted Living Caregivers,” I Advance Senior Care, 7/20/17. “Now What? Understanding Brain Trauma,” NET Connect Series, NPR/PBS Nebraska. It’s not too late to register for the NCCDP’s ADDC and seminar sponsored by the Beacon Institute. Seating is limited! Register today! “Gull Creek Residents, Staff Paint Mural of OC at Facility,” OC Today, 7/20/17. Congratulations to the NCCDP’s 2017 CNA of the Year, Lisa Ford! Thank you to Watermark Communities for hosting the event! Better hurry! Seating is limited! Join us at the Beacon Institute for the CADDCT seminar. Early registrants: take advantage of the reduced rate of $1900! “Large Home Care Franchisor Wises Up on Dementia Training,” Home Health Care News, 7/13/17. Don’t miss Berkshire AHEC’s Challenges in Responding to Emotional and Sexual Intimacy in Continuing Care Facilities training. Check out the National Institute on Aging’s Alzheimer’s Disease Fact Sheet! We’ve partnered with the Institute for the Advancement of Senior Care to put on Memory Care Forum San Diego!